When purchasing new software you want to get straight into it and learn what’s new. For a designer, the latest Adobe Creative Suite is a must. The CS5 Suite has been released and in this article, rather than a complete a full review of CS5, I would focus on the new Photoshop and, in particular, go through a few of the specific changes and 2 of the cool, new tools provided – the content aware feature and the puppet warp feature. If you like this article, you might be interested in some of our older article on Photoshop Tutorial To Keep Skin Pores, Advanced Photoshop Tutorials, Is It Worth Shifting To Photoshop CS5?, Realistic Moon With Photoshop, Create A Realistic Video iPod Nano, Photoshop Shortcuts, and How To Correct Banding. The new startup screens for all of the Adobe Products are the same, with this fancy 3D box! While lovely to look at, this is just the packaging – what’s important is what has changed under the hood. What new tools can I use? Is it worth upgrading? 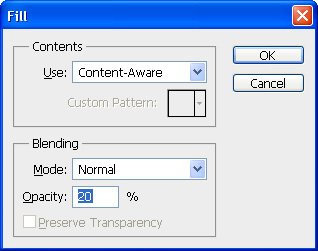 If you are a Photoshop fan then you will already know about the Content Aware Fill button. To put it simply it is amazing! Imagine that you wanted to easily get rid of an element of a photo and replace it with the background. Back in the old days you would have had to use the clone tool and spend hours of painstaking work to get it right. Well, fear no more! Let’s take this picture below for example, say you wanted to remove the horse. 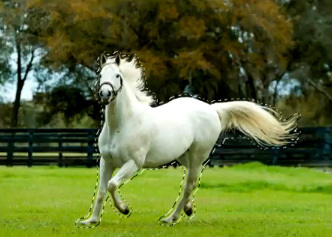 All you need to do is select the outside of the horse, press delete and choose to fill it with the Content-Aware option. And wallah, the horse is gone and replaced with the background. It really is magic and you have to see it to believe it. This tool is perfect for manipulating everything from family photos to business photos that just aren’t right. Delete (or ‘content fill’) your ex-girlfriend from that awesome panoramic picture or tweak that istockphoto pic that is almost perfect but not quite right! If you have ever wanted to do an animation but didn’t know how, then this tool is for you. Let’s say you had the below image for example. 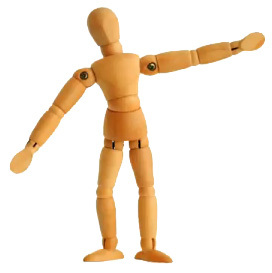 Say you wanted to move his arms up and down, so it would look like he was waving for instance. All you need to do is press the Puppet Warp tool from the ‘Edit’ menu. This will create a mesh of the image, so that you can then place pivots of where the characters points of movement are. Now all you do is click on the pivot you wish to move, in this example when are choosing his arm, and you move it in the direction you want it to go. I made a only a couple of changes and managed to make this animated GIF below in a few seconds, WOW! I have only really just touched the tip of the iceberg, there are so many new features in CS5 – too many to list! No doubt there are many other features in the pipeline from the scores of vendors out there creating yet more plug-ins and filters. Personally I can’t to see what they can come up with next! The first time I encounter this tool was when I used Adobe After Effects. 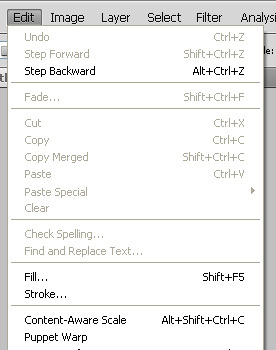 Just now I realized Photoshop has this tool also. Well, thanks for that tip. The content aware feature is a epitome from Adobe to develop such in a better purpose. Puppet warp is also nice feature. My co-batchmates used this feature in making a stop motion. 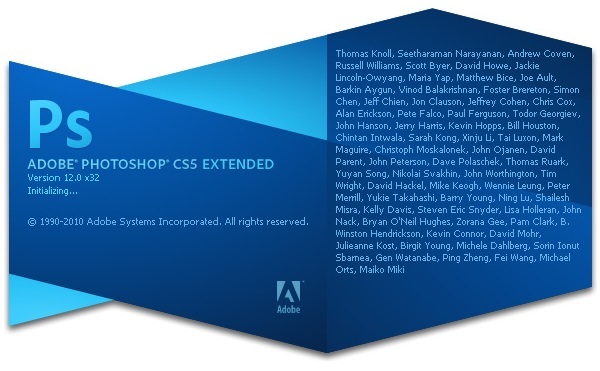 Time sure does fly – now CS6 is out and I’m still on CS4. Just can’t keep up with the updates. Content aware was enough for my husband to buy CS5 when it first came out-too cool! I like the Puppet Wrap idea. This could work well for both those who are veterans with Photoshop and animation, as well as those who are new to animation and using Photoshop to create graphics. This puppet wrap idea is so useful for making an animation. I m gonna try this…. No doubt there are many other features in the pipeline from the scores of vendors out there creating yet more plug-ins and filters. Personally I can‘t to see what they can come up with next! I like these puppet ideas wraps they are so useful to for making animation.nice work i love these tutorials.